Deadshirt Is Watching…is a weekly feature in which Deadshirt staff, contributors, and guests sound off on the television shows we’re tuned into, from intense dramas to clever sitcoms to the most insane reality shows. This week: The Flash and Yuri on Ice! The Flash’s annual Christmas episode is always a standout each season and this year’s is the best one yet. “The Present” manages to balance holiday season warm and fuzzies (and H.R. Wells in a festive cap, drunk on eggnog) with a plot that moves the show’s Savitar mega-plot forward in a big way. 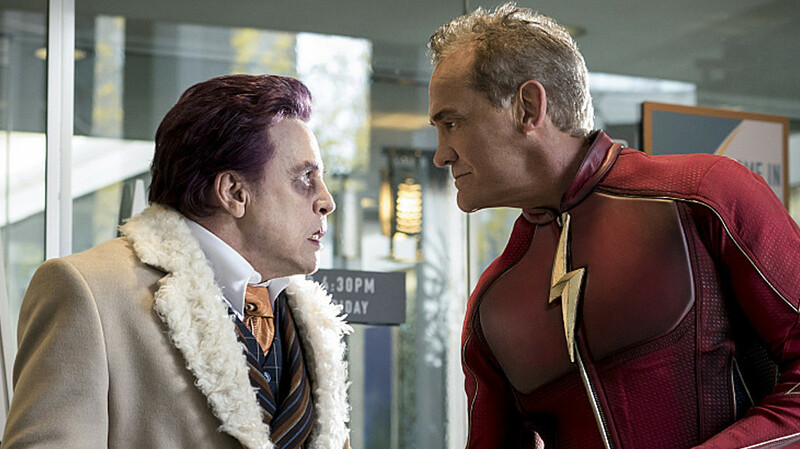 On top of that, we’ve got guest appearances from John Wesley-Shipp’s Jay Garrick and Mark Hamill (here for a hot minute as the Trickster of Jay’s world). “The Present” also provides much-needed closure to The Flash’s kind-of-annoying-at-this-point Cisco and Wally B-plots while also fleshing out Draco Malfoy Julian Albert (Tom Felton), who was revealed two episodes ago as Season 3 sub-villain Dr. Alchemy. That Julian is an unwitting pawn of Savitar, combined with his delightfully goofy backstory as an Indiana Jones-esque archaeologist, was a nice change of pace from the show’s usual villain reveals. While the Barry/Iris romance still feels a little icky (c’mon, man, they grew up in the same house and they call the same guy their dad, this will never not be weird), Barry’s accidentally ending up in a future where he was helpless to stop Iris’ violent death places an interesting threat over Barry’s head going forward. The episode isn’t exactly subtle about its rearrangement of Season 3.5 plot note cards — Savitar’s prophecy might as well be a creepy “NEXT SEASON ON…THE FLASH!” — but it’s undeniably a cool way to set up the next phase of the show. Episode Highlight: There’s so much good stuff in this episode to choose from. As genuinely touching as it was to see Joe West give Wally his blessing to be Kid Flash, Hamill’s cameo as the creepy pasty-faced and posh Earth 3 Trickster is the exact kind of demented creativity that makes The Flash so fun to watch. Yuri on Ice is… maybe the most charming show on the planet. “Japanese anime about gay figure skaters” probably doesn’t sound like a super accessible premise to the casual TV viewer, but the show, like its leads, is always genuine and disarming. This week’s episode was a fun break before the climactic Grand Prix, so it was mostly focused on characterization and B-plots over ongoing sports angst. On the one hand, the figure skating segments are always kinetic and gorgeously realized; on the other, they often serve to illustrate emotional beats, so even a light episode like this, by playing up those same beats, cuts out the middleman. We got some solid Yuri and Victor moments this week, as even when they’re annoyed with one another, their natural chemistry shows through. Yuri on Ice is interesting in that it’s pretty low-key and avoids lazy melodramatic beats more than one might expect. If it gets stock, it’s thankfully not with gay drama tropes, but rather with sports story cliches. The B-plot, with Yurio and Otabek beginning to bond, was nice, too, and the episode was packed with the usual grace notes, like the cutaways to what everyone else is doing to prep for the Grand Prix back home. All in all, this was a really good episode. It’s missing the visual flair of one of the more competition-driven episodes, but it’d also make a solid introduction to all these characters. Good stuff! 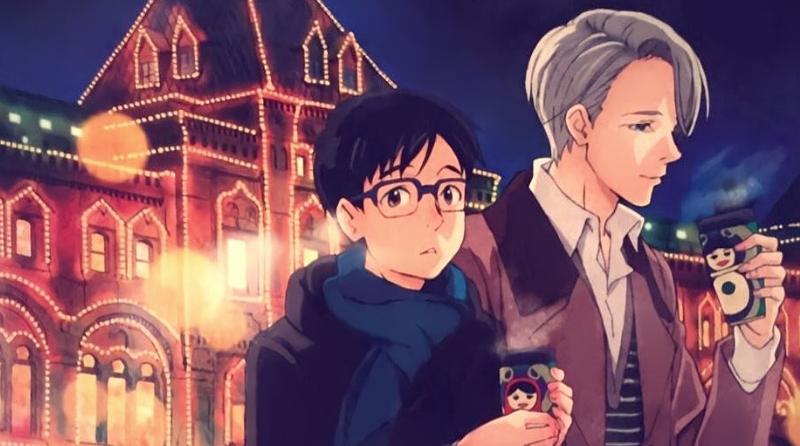 Episode Highlight: The reveal that Yuri had met Victor and everyone previously at a party, but was too wasted to remember any of it, was masterful. Even better was the montage of photos and videos from that night, showing Yuri in all his blackout drunk glory. The show has a knack for integrating references to technology and social media in a way that feels genuine rather than forced, and this was probably the best use yet. Next → Next post: Deadshirt is Reading: New Super-Man and Spider-Man!